Hello, my name is Galuh Raga Nandika a.k.a SAM7. I'm from Garut, West Java, Indonesia. Since 2019 started the journey as a street artist. At that time I had joined a number of graffiti crews in Garut, including Tekgi Squad, Steno, DAG Project and Preman Urban in Bandung. And in 2013 until now I have joined the GIMS Society and in 2014 I also joined the writer of Garut City. Behind being a street artist, I am also an office worker. My job is as a graphic designer at an office in South Tangerang, Indonesia. Besides drawing hobbies, I also like videography and photography. Even though my background is not pure art, it doesn't trigger me not to work. Even now the works that have been produced exceed 100 works. Whether it's on the wall or in other media. I have participated in several exhibitions and events. 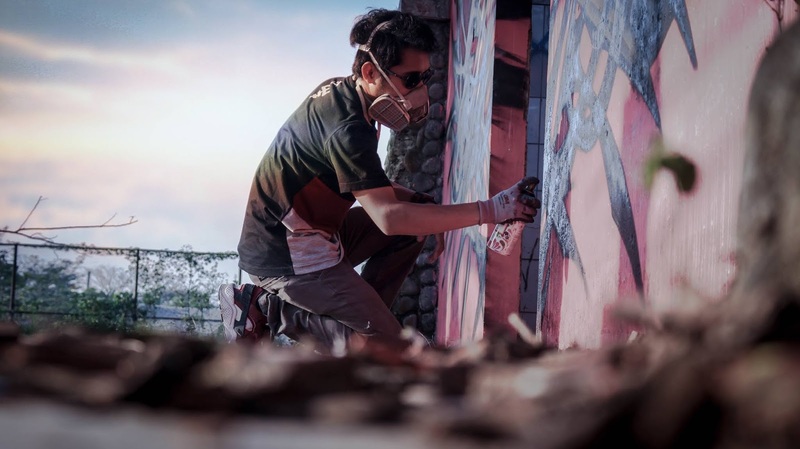 My goal is to become a famous graffiti artist, both inside and outside the country and eager to do a solo exhibition in Indonesia, after that outside the country. That is my dream.